New year new look! If anyone knows the importance of looking good and doing it right it would be The National Association of the Remodeling Industry (NARI). 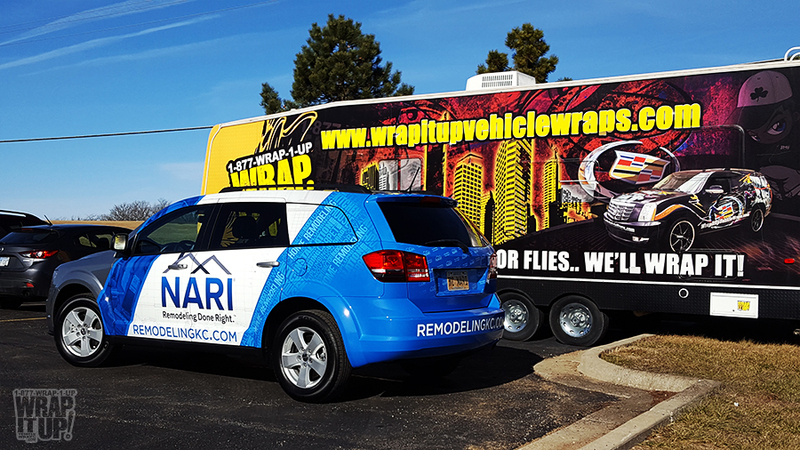 This SUV wrap for NARI embodies everything they represent. We encased the NARI Logo in a subtle floor plan blue print and used some typography and photos to drive home what they stand for. NARI is an organization of high-quality remodeling industry professionals. Its members are committed to integrity, high standards, professional education and market recognition. So if you are looking for someone to help you with your remodel make sure you look to NARI first. Thanks NARI!